Dreaming of the perfect office environment? Unsure where to start? Having a history in commercial interior design helps us offer a range of products that suit your business requirements. We work in conjunction with other interior designers, architects, office furniture dealers and manufactures to source the best materials, styles and finishes. When beginning your journey to attaining that perfect office, reception or boardroom there are a number of steps we take to help you, because we at Office Reality understand that you only get one shot of executing this vision you have. We understand how crucial it is to get it right first time. An office project seems like a monstrous task but at Office Reality, we take the pressure off you. Our key objective is to make the customer experience as easy and painless as possible. The distinctive process we follow is very simple; we carry out a detailed analysis of your desired space, your requirements and your budget for the project. It’s imperative that we find establish your requirements from design and planning all the way down to future objectives of the company for example if you have plans to expand the workforce or alternatively to downsize. When we are approached by a potential customer, we believe it is key to build a relationship and an element of trust with that person. After we have gained a picture of you and your ambitions for your project, it’s then time to discuss the furniture you need to bring this to life. We have a highly trained, professional sales team with many years of experience that will discuss what is best suited for your specific requirements. 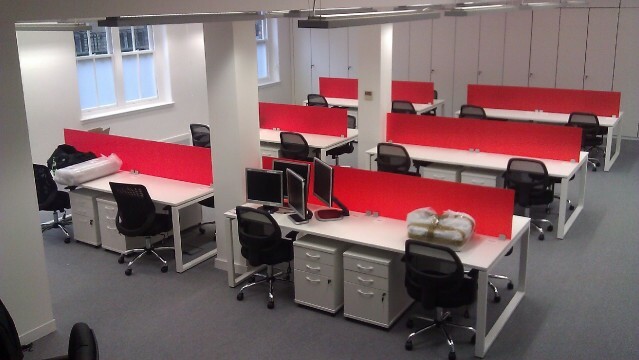 Our broad range of office furniture is built to make sure that we can adhere to every customer’s needs. With the office furniture now finalised, it’s then onto the price. Our sales team will provide an in depth quotation for your perusal and approval. This contains product descriptions, pictures, amounts, quantities and overall price of the order. An estimated time of arrival will also be given. Which will give you time to prepare the office for the furniture’s arrival. Why wait to see what your office space will look like? After the formalities have been taken care of, we can bring your order to life with our software ‘P CON’. P Con is similar to other CAD programmes but is specific to the office furniture industry. 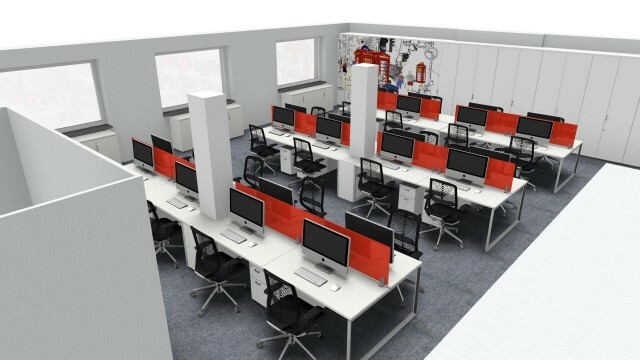 P Con uses Office Furniture Modelling Language (OFML) which was developed because previous CAD programmes failed to meet the demands of space planners within the office furniture industry. The main problems stemmed from the poor configurability and insufficient product logic of office furniture models within the generics of CAD. P con works like most CAD programmes but makes configuring furniture and planning different models much easier and quicker. This is very useful because the client will want to see maybe two or three different layouts using different furniture models. P con is constantly updating and improving its performance which we welcome at every stage. Take a look below at the project we have had the pleasure of working on using the industry software P Con. Now you know what we do here at Office Reality, it’s now up to you to put your faith in us to achieve the environment you or your company have been craving.